These genuine Red Crystal Incense Sticks are made by the Tibetan monks of Drikung Kagyu Monastery in India. 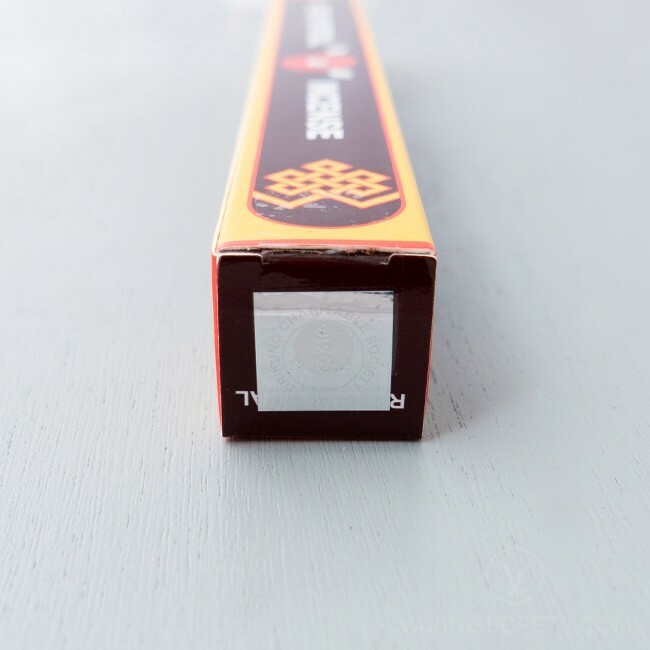 Carefully compounded from 23 herbal ingredients gathered from the high Himalayan mountain ranges, these full-length herbal incense sticks are formulated to increase the effectiveness of meditation practices and for purifying and calming the environment. 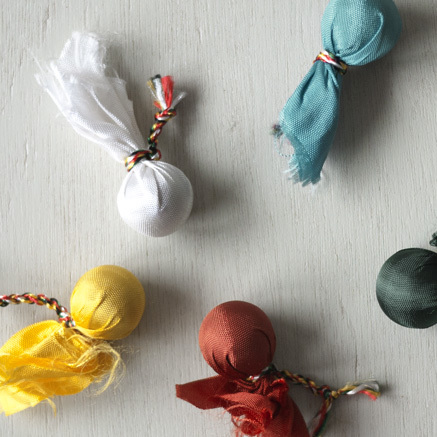 One of the oldest arts in Tibet, incense-making is a tradition following strict methods which are centuries old. 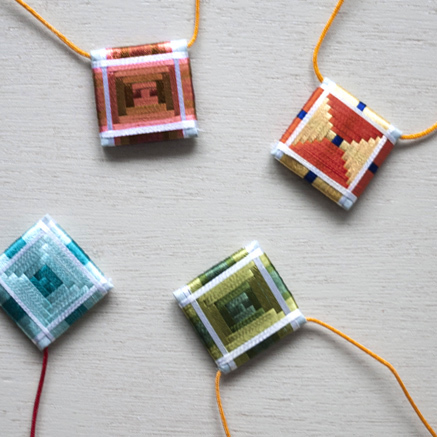 Tibetans use incense as a sacred devotional offering and in Tibetan medicine, which is regarded as one of the “Four Great Traditional Medicines” in the world. Made according to instructions contained in a 13th Century manuscript on incense making, the Original Red Crystal Incense is one of the grandest and oldest of Tibetan incense formulas. 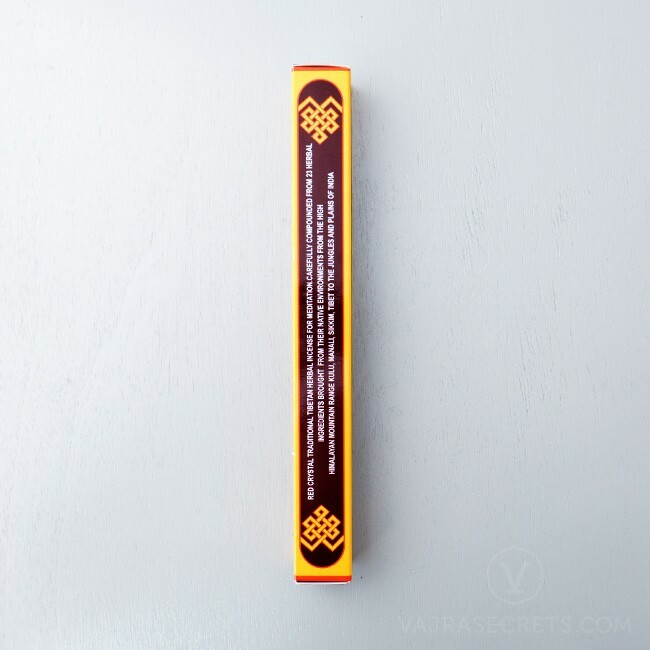 Handmade by the Tibetan monks of Drikung Kagyu Monastery in India, these genuine Red Crystal Incense Sticks are carefully compounded from 23 herbal ingredients, including sandalwood, gathered from their natural environments in the high Himalayan mountains in Kulu, Manali, Sikkim and Tibet. Used as an offering during pujas in monasteries and by monks during meditation, these Original Red Crystal Incense Sticks are famous for increasing the effectiveness of meditation practices, for purifying and calming the environment and for relieving tension and stress. 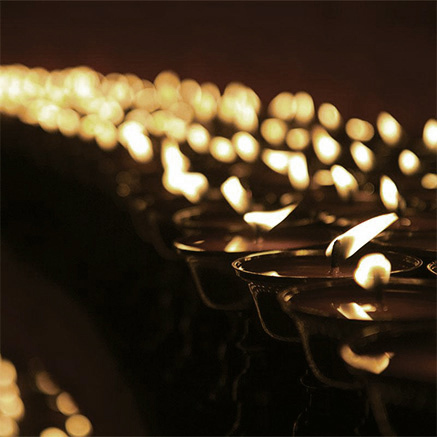 When burnt, this superior incense blend produces a strong woody, spicy and sweet aroma with a tinge of sage and a long lingering scent which will keep a room freshly scented for hours. This is an authentic Red Crystal incense and not some knock-off you usually get from the internet. Comes with a hologram sticker as described. There is something magical about this incense as it is unlike any other incense I have smelt before. It was truly love at first sniff! The scent is intense but in a good way as the uplifting and comforting fragrance pervades a large area. A colleague burnt some the other day and the whole office could enjoy the divine scent. I am a smoker for the past 20 years and now on a quit smoking program. I am facing some difficulties during this process especially early stage and nicotine in my body just can't get away especially during night time. This incense I just got it yesterday and it really make my mind , body feel calm and relax when my wife decided to light one Red Crystal Incense and put it in my working room. The best part is I don't feel like want to smoke as I need to stay up late rushing my works. Basically just make me forget about smoking. This is really highly recommend as not so smoky and the fresh aroma during the burning process. 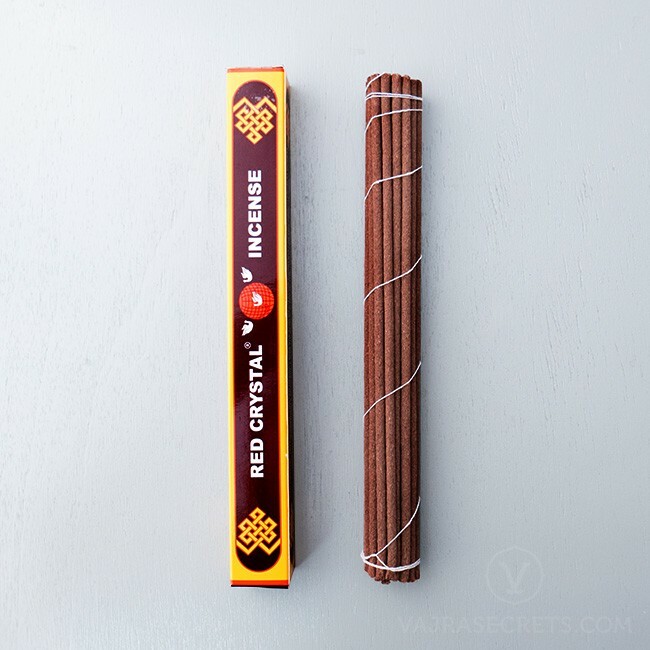 Thanks to one of the Vajrasecret staff named Darren as he patiently describe how this Original Red Crystal Incense are made and how to identify fake Red Crystal incense.